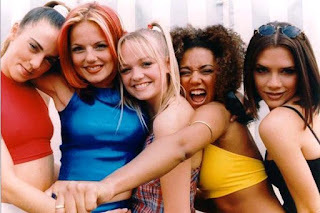 We have a lot of Love for The Spice Girls!!! So here at Bijoux Hen Parties Ltd HQ we have recently been listening to the music from our playlists from our dance hen parties. And my ultimate favourite has defiantly been from the 90s! So as a girl who was brought up in the 90s era, who was the best girl band of all time..... Spice Girls!! So with a little Girl Power and sing along songs I have been inspired to have a Spice Girls dance hen party for my next birthday. The girls will love it!! Here at Bijoux, we not only cater for hen parties but also Birthday Parties, Corporate events or if you and your girls just want an affordable activity cause you need a fun way of catching up again. If you have a favourite band like me or a favourite song, we can accommodate our current dance class or have a bespoke one just for you!!! So give us a call or drop me an email at admin@bijouxhenparties.co.uk and we will be able to get you booked in!!! Still spaces left for the last part of 2016 for those Christmas get togethers!! !